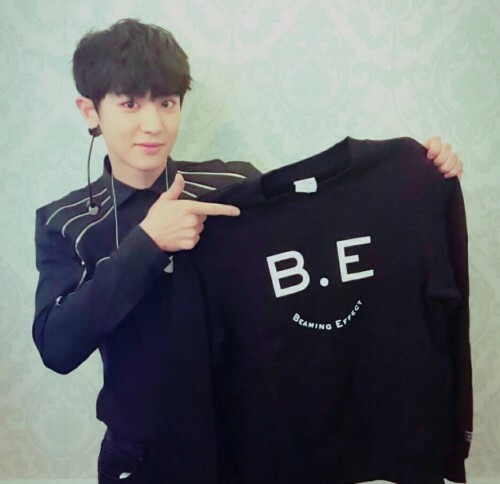 EXO member Chanyeol promoted the charity bazaar to be hold by Sooyoung of Girls' Generation. On March 19, Chanyeol uploaded a picture on his Instagram, and wrote, "Girls' Generation's Sooyoung noona will be holding a bazaar at COEX Artium to help blind people. I hope someday I'll be able to do such good action, too. Please pay attention to this." In the picture, Chanyeol is holding a t-shirt created by Sooyoung in cooperation with designer Jain Song. Meanwhile, Soyoung will hold the charity bazaar 'Beaming Effect' at the fifth floor of COEX Artium in Samseong-dong, Seoul on March 19 from 11:30 am. The total profit of the event will be donated to the center for blind people in order to help patients who suffer from retina cell discoloration.